The fundamental ‘Legal Theory of the Arbitration Process’ is that Arbitration derives its existence and validity in Law from “The will and consent of the parties litigant. Its fundamental legal assumption is that it is an allowable extension of the sphere of contract. However, an arbitration agreement and the underlying contract between the parties are independent of each other where “the applicable law to the substance of the arbitrable dispute (i.e. the dispute to be settled via arbitration)” and “the applicable law relating to the merit of the arbitration agreement” are separable and by definition, can be different. The applicable law to the substance of an arbitration agreement must also be evaluated separately from the law applicable to the formal requirements of an arbitration agreement and to the capacity of the parties. The applicable law to the substance of the arbitration agreement basically applies to the arbitration agreement, the validity/invalidity of the parties’ intentions, the fulfillment (delay, impossibility etc.) and extent of the arbitration agreement; it is not applicable to form requirements of the arbitration agreement and to the capacity of the parties. Article VI of the 1961 European Convention on International Commercial Arbitration ECICA, clearly states that the existence or the validity of an arbitration agreement will be examined under the law to which the parties have subjected their arbitration agreement. Failing any indication thereon, it shall be examined under the law of the country in which the award is to be rendered or where, at the time when the question is raised in court and the country in which the award is to be rendered cannot be determined, under the competent law by virtue of the rules of conflict of the court in seize of the dispute. Therefore, in order to determine the applicable law to the substance of an arbitration agreement, it is important to find out at which point such a question would arise. Yet, claims related to the substance of the arbitration agreement may be asserted before the arbitral tribunal or before the national courts at different stages, which will be explained below. Claims of invalidity regarding the substance of an arbitration agreement can be asserted before an arbitral tribunal. In such a case, the arbitrators shall first examine the invalidity of the arbitration agreement by taking into consideration the parties’ consent. 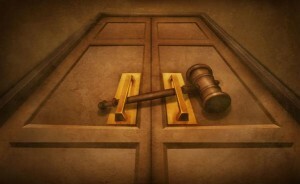 However, the main problem occurs in cases when there is no choice of law. Arbitrators determine the applicable law to the substance of an arbitration agreement by taking into consideration different criteria. It is observed that arbitrators use the law of the place of arbitration, the law applicable to the substance of the principal contract and the arbitration rules of the chosen arbitral institution as criteria. In this regard, it might be useful to determine the law of the place of arbitration as the law applicable to the substance of the arbitration agreement in order to shield the arbitral award from annulment requests. Such a choice would also be coherent with the arbitrators’ obligation of maximum effort to facilitate the execution of arbitral awards, since annulment of an arbitral award on the grounds of contradiction to the law of place of arbitration can be avoided if the validity of the arbitration agreement is subject to that law. The law of the country where the award will be enforced may also be taken into consideration in order to determine the law applicable to the substance of an arbitration agreement. However, contrary to the country where the award’s annulment will be sought, the country where the enforcement will be sought may not be known during the arbitral proceedings. Thus, it may not be possible in all cases to utilize the law of enforcement country as the applicable law to the substance of an arbitration agreement. However, where the enforcement country is known beforehand, it is useful to take into account the laws of said country. The validity of an arbitration agreement can be examined before national courts in the event an objection in favor of arbitration is asserted or as grounds for refusal of enforcement where the enforcement of the award is requested, or as grounds for annulment where the annulment of the award is requested. Where a lawsuit is initiated before national courts despite the existence of an arbitration agreement, the other party may raise an objection in favour of arbitration (i.e. that the dispute must be resolved through arbitration and cannot be resolved before the national courts due to the presence of an arbitration agreement between the parties). The validity of an arbitration agreement brought before the national courts will be examined in accordance with the conflict of laws rules of lex fori. In Turkish law, Art. 4/3 of the Act on International Arbitration No. 4686 (“AIA”) distinguishes the applicable law to an arbitration agreement from the underlying contract, and subordinates the arbitration agreement to the law chosen by the parties or failing any indication thereon, directly to Turkish law. Consequently, if the applicable law to an arbitration agreement is not clearly stated and the principle contract is subjected to any law other than Turkish law, the arbitration agreement shall not be affected by said chosen body of law and the validity of the arbitration agreement shall be directly evaluated pursuant to Turkish law. Therefore, where a dispute arises to which AIA applies (disputes in which the parties select Turkey as the place of arbitration or they accept the application of AIA despite the fact that the place of arbitration is a different country), the arbitration objection to be asserted before other states’ courts shall be resolved in accordance with Turkish law. The invalidity of an arbitration agreement is regulated as grounds for annulment in several national and international legal texts. Pursuant to UNCITRAL Model Law, (Article 34-2 a.i) on International Commercial Arbitration, an arbitral award may be set aside only if said arbitration agreement is not valid under the law to which the parties have subjected it or, failing any indication thereon, under the law of the state where the annulment is requested. In the event the annulment of the arbitral award is requested from the Turkish courts, the judge, in accordance with Art. 4/3 of AIA, shall evaluate the substantial validity of the arbitration agreement according to the law to which the parties have subjected it or, failing any indication thereon, according to Turkish law. In Turkey, as in many other states, the recognition and enforcement of arbitral awards is conducted in accordance with the Convention on the Recognition and Enforcement of Foreign Arbitral Awards dated 1958 (“New York Convention”). Art. V(1)(a) of the New York Convention states that the request for enforcement may be refused if the arbitration agreement is invalid in accordance with the law to which the parties have subjected it or, failing any indication thereon, under the law of the country where the award was rendered. In accordance with this article, the applicable law to the substance of an arbitration agreement is the law of the place where the arbitral award is rendered. The above-mentioned rule of conflict of laws of the New York Convention is also included in the International Private and Civil Procedure Law No. 5718 (Art. 62e). Pursuant to this article, the request for enforcement may be refused “if the arbitration agreement or arbitration clause is invalid according to the law to which the parties have subjected it or, failing any indication thereon, under the law of the country where the award was rendered’’. In order to execute an arbitral award, the first condition is to insure the validity of the arbitration agreement. Consequently, providing this validity requires a detailed examination. As seen, the applicable law to the substance of an arbitration agreement can be different from the applicable law to the form of an arbitration agreement, to the capacity of the parties and to the substance of the dispute being arbitrated. Additionally, the applicable law may also depend on the stage of examination of the issue (i.e. at the initiation of the arbitration; request for annulment or enforcement of an award). Therefore, the substantial validity of an arbitration agreement should be evaluated separately from the law applicable to the form requirements of an arbitration agreement and the capacity of the parties, considering each stage of the dispute separately. However, applicable law to substance of arbitration agreement, to form requirements, to capacity of parties, and even to substance of dispute might be the same in some cases. Thus, evaluations shall be made by taking into account conditions of each different case.